It’s been eight years since I walked out of the classroom, thoroughly disgusted with the path taken by the American education system. I seem to remember my term was “travesty” in describing the public schools of that time. From Pauline’s comments, it appears that the problem has gone from bad to worse. Education should be a joyous thing. Yes, homework can be tedious and/or boring. But learning is fun. That’s right. Fun. What point would there be in living if you never found out anything new? It would be almost like the movie Groundhog Day, living the same events over and over again. I was born to teach and explain. Ask any of my friends who really were not interested in the minutia brought forth when the topic of conversation turned to a subject in which I have a deep interest. So, leaving the classroom did not mean I would never again associate with the learning process. One of my current volunteer activities is to help supervise homework hour at a local youth organization. That has opened my eyes to some disturbing realities of present-day schoolwork. The focus on testing and strategies has not only kept students from absorbing knowledge with zest and enthusiasm but has stressed many to the point of damaging health. 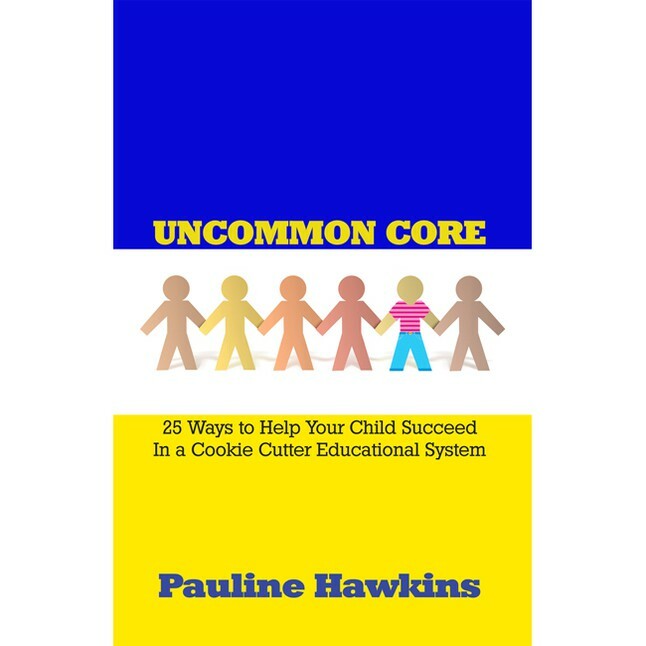 Most of the students I see are in grades kindergarten through fourth grade – the years when the most important basics, including attitudes toward learning – are being established. These children should not see school as a stressor. They need to be embracing new ideas and information. It’s not happening. Tests ever hover over these kids. Some students become so caught up in the process they don’t learn the basic facts. I watch wasted effort to “complete” work – especially on math worksheets – which for that age/grade level should already be in the head. But the required tests must have more. I can hear the rebuttal. Students should understand the process not just get the answer. At a certain point, I’ll concede that, but to keep it up ad nauseam after the facts have been learned just in order to fit a test is wrong. Or, maybe they never learn the facts because they are too absorbed in strategies. If we had still been drawing circles then circling them in groups to solve a problem after we had already moved beyond the point of learning the multiplication tables we would have had points taken off for cheating. Of course, being caught with a calculator in class would have been cheating, too. Anyone out there noticing my pet peeves? Standardization of testing, universal lesson plans, everyone on the same page at the same time. These prerequisites for the American classroom are, in fact, un-American. 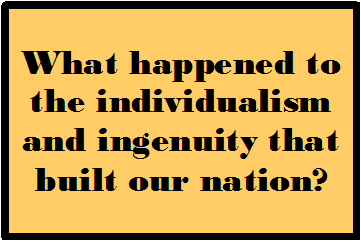 What happened to the individualism and ingenuity that built our nation? Take the handcuffs off the teachers. Get the politicians out of the classroom. Let those who know what they are doing do it and do it right. Until the system goes back to allowing good teachers to monitor and adjust the material to meet the varying needs of different classes and students (yes, individual classes have personalities just like individual people) rather than force-feed the same exact diet to all, our education system will continue to fall behind the rest of the world. It’s frightening for the future. This entry was posted in Education Reformation, Guest Blogger and tagged Children, Education Reformation, Family, Parents, Students, Teaching. Bookmark the permalink. It’s the same systemization that made us uncompetitive in business that’s being applied to education. You have to understand that the school doesn’t exist to empower young minds. It exists as a “node” at the end of a systems diagram that sends data back to Washington. Until we recognize teaching as an art (and compensate our “artists” appropriately), assembly line efficiencies will continue to transform our kids in nothing but data points. I dream of a day when parents mobilize and take their kids out of their schools en masse. If they organize and create local education co-ops, they could easily hire the teachers back as consultants and leave those hulking brick monsters to rot in their fields. Another issue with what’s happening today is that most school systems are in transition. Instead of backing off of standardized testing to allow and encourage transition, they are instead piling on the duality of old and new. In my state of TN, schools are transitioning to Common Core, but are continuing to take the old TCAP tests. They are 2 VERY different approaches each with a different set of standards varying in depth and span. Instead of choosing 1 or the other, teachers are forced to simultaneously do both. As schools systems are putting a hold on Common Core evaluative approaches (as is TN), teachers are forced to still sit on the fence struggling to cover 2 very different approaches with different standards. Talk about stressing everyone out.